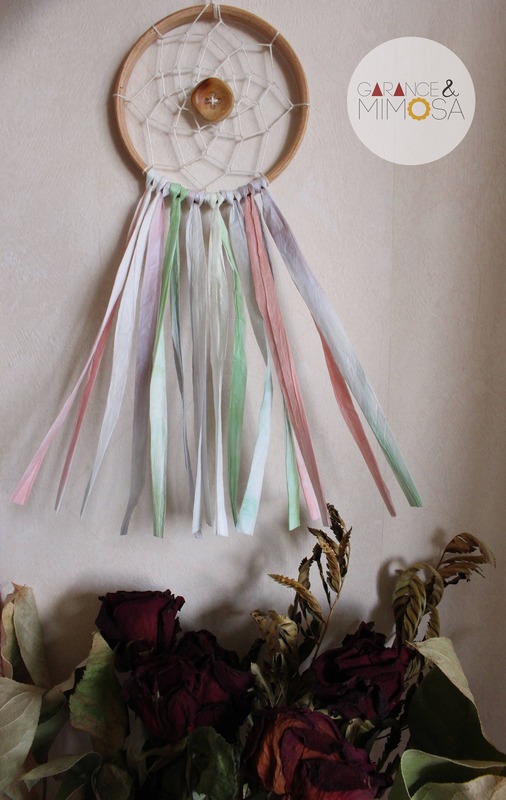 Dreamy and cruelty free dreamcatcher ! 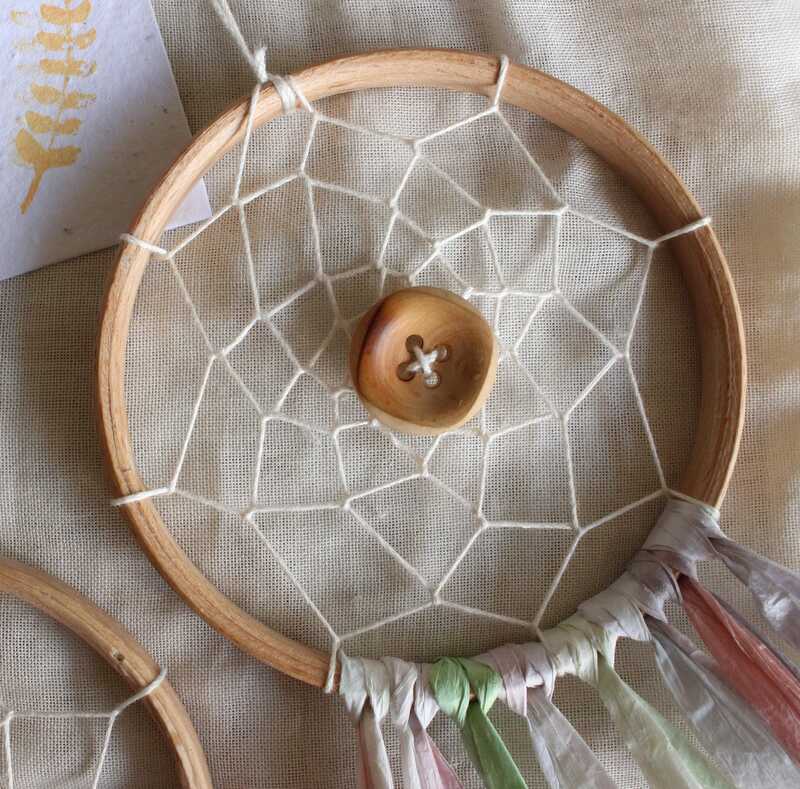 For a harmless towards nature home ornament choice ! 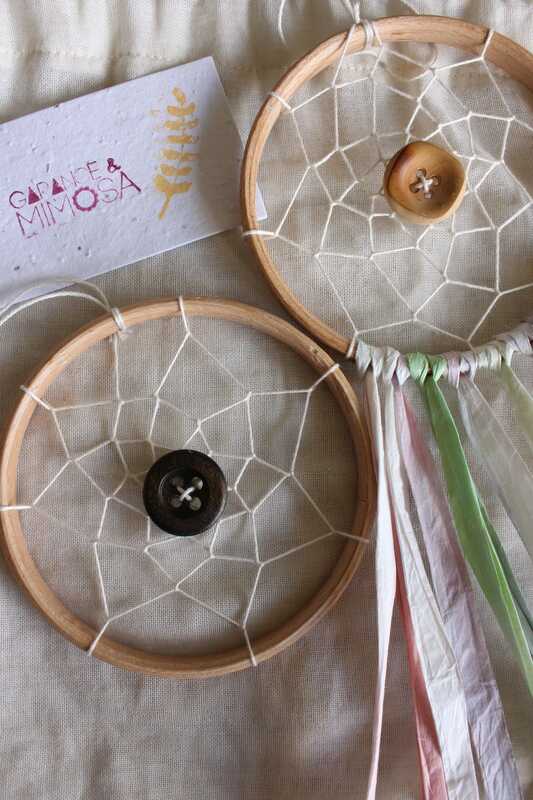 This wooden dreamcatcher will add a Boho touch to your home ! 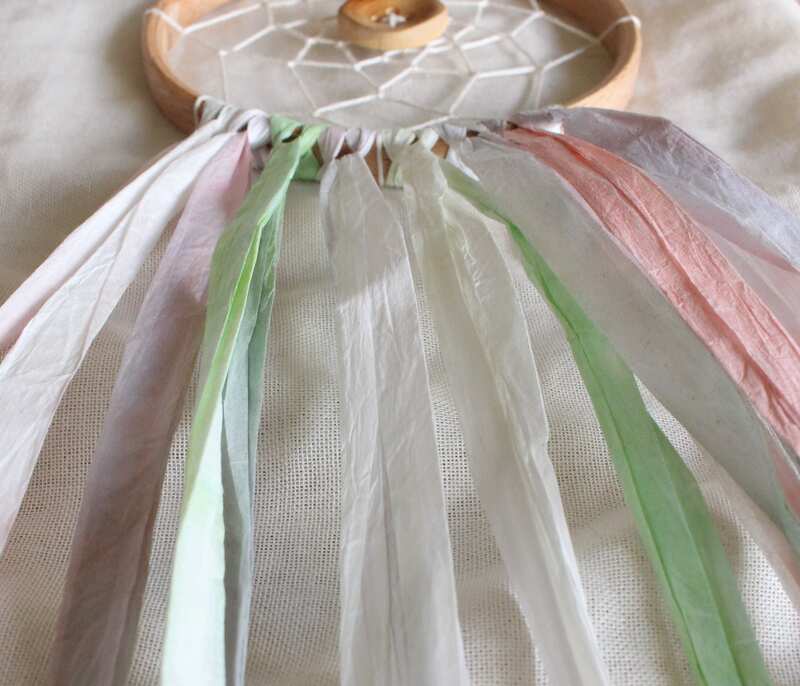 Made with a wooden circle, oekotex coton weaving, and pastel colored paper for the fringes, in it's center a small wood button, this last can be either light or dark wood. 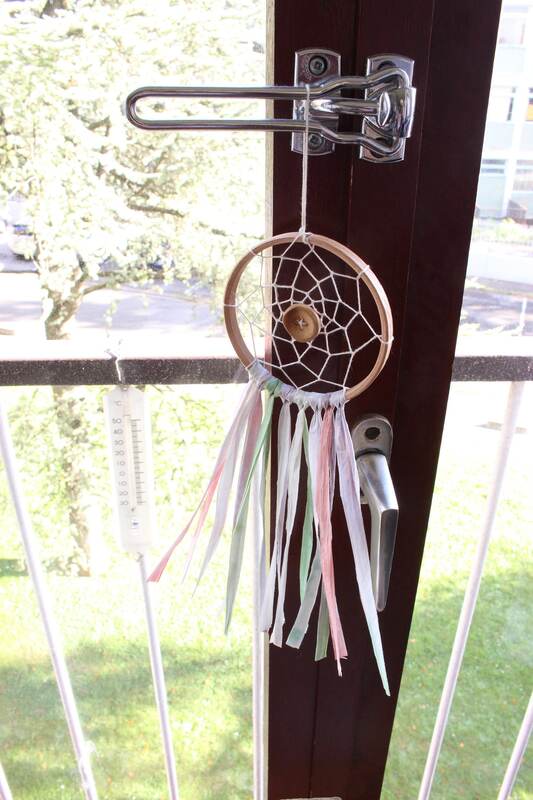 Hail to nature, this one won't let the bugs bite !